What would you do when you realised an unknown has in his/her possession records of your SMS exchanges and a the actual recordings of your telephone conversations and sent them to your own desktop? Shocked, fear, terrorised, humiliated (somehow), and so on, you name it. But yes, it’s a nightmare! A lady who experienced this had brought a lawsuit against her telecommunication provider for allegedly revealing the content of her private communication to a third party. Read the news report here. This particular lawsuit is the first that could trigger the provisions of Personal Data Protection Act 2010. Since the case proceeding has not started yet, nothing much can be heard from the case. Hopefully we can hear more updates in near future. Meanwhile, the telecommunications company involved had issued a statement that they would carry out an investigation relating to the said allegation. Read the statement here. 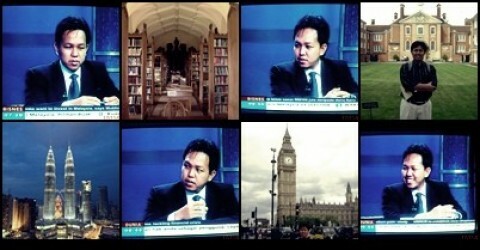 Invasion of Privacy in Malaysia: A surgery turns sour! This is particularly a court decision that will attract many who are curious about law on invasion of privacy in Malaysia. The timing could not be more intriguing that now when the first privacy-related legislation was recently passed in the form of the Personal Data Protection Act 2010. No, this Act was not in the case (yet? ), not even possibly so because the Act is still now not enforced. This case was instead dealt with under the civil law of torts. 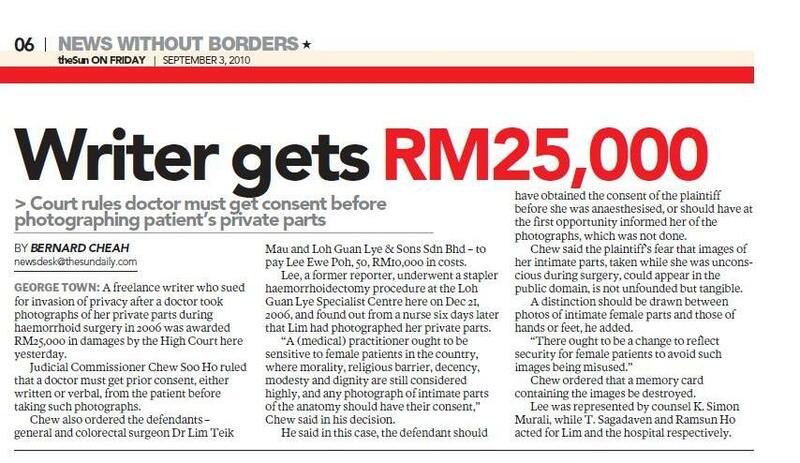 As reported by the Sun Daily (3/9/2010), Judicial Commissioner Chew Soo Ho who sit in Penang High Court heard this suit brought about by a female writer against the doctors who were involved in a haemorrhoid surgery back in 2006. The point of concern was the fact that a doctor had taken photographs of her private parts while she was unconscious — without getting her prior consent.